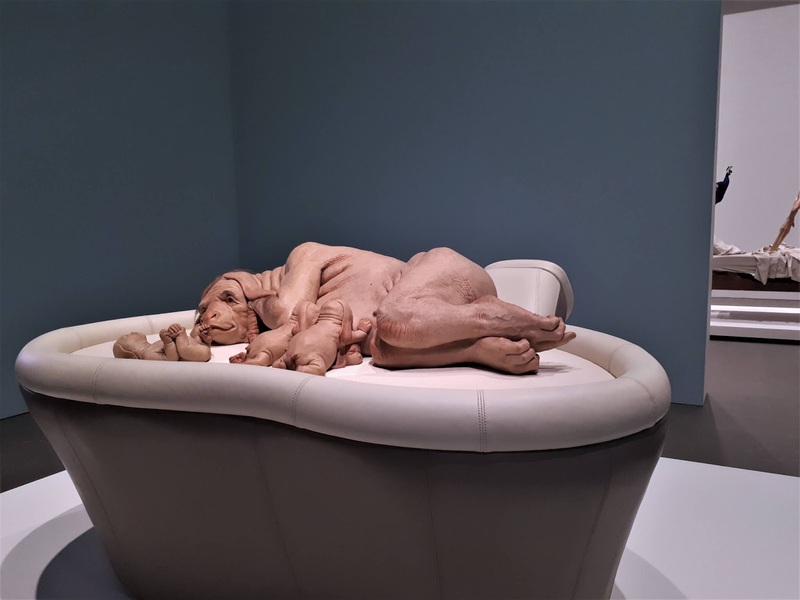 We finally made it to Patricia Piccinini’s Curious Affection exhibition at QAGOMA over the weekend and it was as strange and thought-provoking as expected. Piccinni’s creations are so lifelike I often mistook them for other gallery-goers out of the corner of my eye. The artist strikes a difficult balance perfectly – her figures are uncomfortably, sometimes alarmingly real without being threatening. The exhibition plays with the ideas of the ‘natural’ in the age of technology and raises questions of ethics in terms of human-animal hybrids. The use of recognisable elements such as automotive paints, leather furniture, and household furnishings brings the ideas that the exhibition presents closer to our current world and makes the gap between ‘us’ and ‘them’ much narrower. 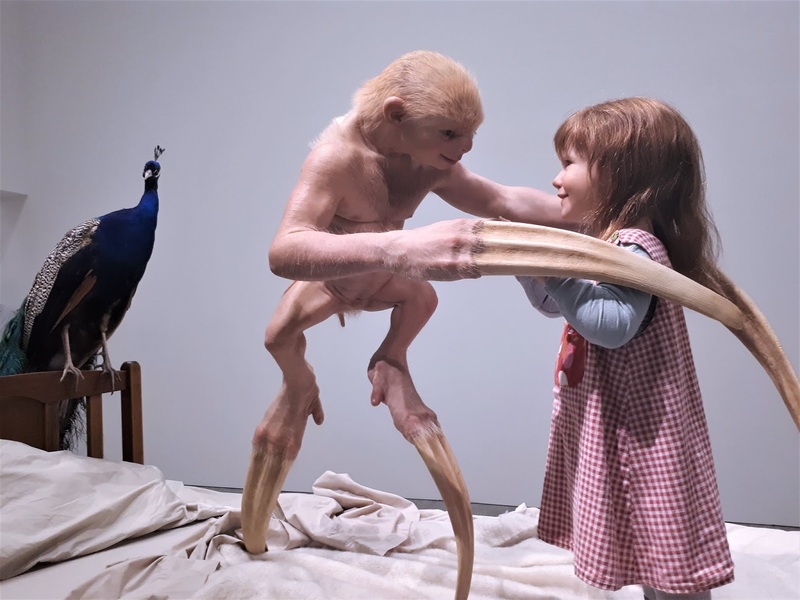 Between that and the incredible life-likeness and expressiveness of the sculptures, viewers feel a sense of connection and recognition and, because of this, some discomfort in observing them as we might look at animals in a zoo. 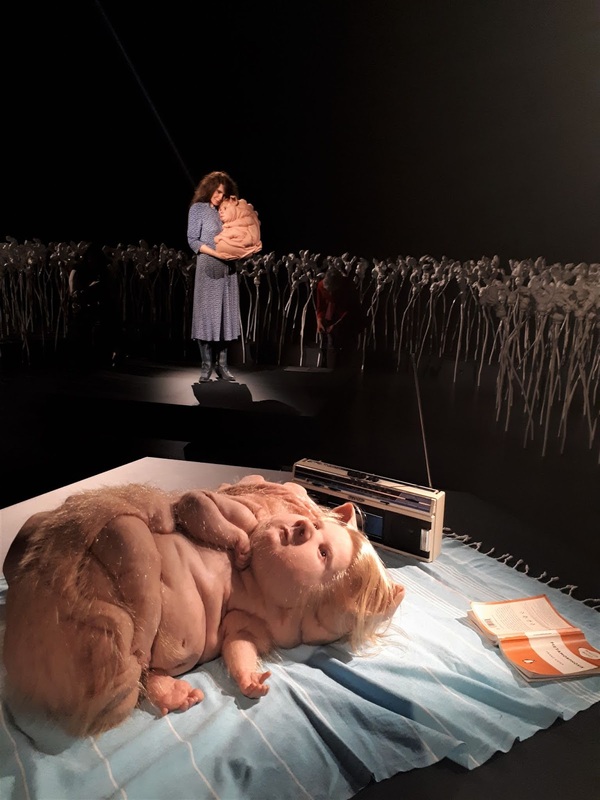 Apart from the humanoid creatures, Piccinini’s exhibition also features technology-animal hybrids, graphite drawings which were a highlight for me, film installations, and more abstract visual works. The exhibition labelling included descriptions aimed at kids, encouraging them to empathise with the figures, as well as mobile links for visitors to further explore the exhibits through videos featuring the artist herself. 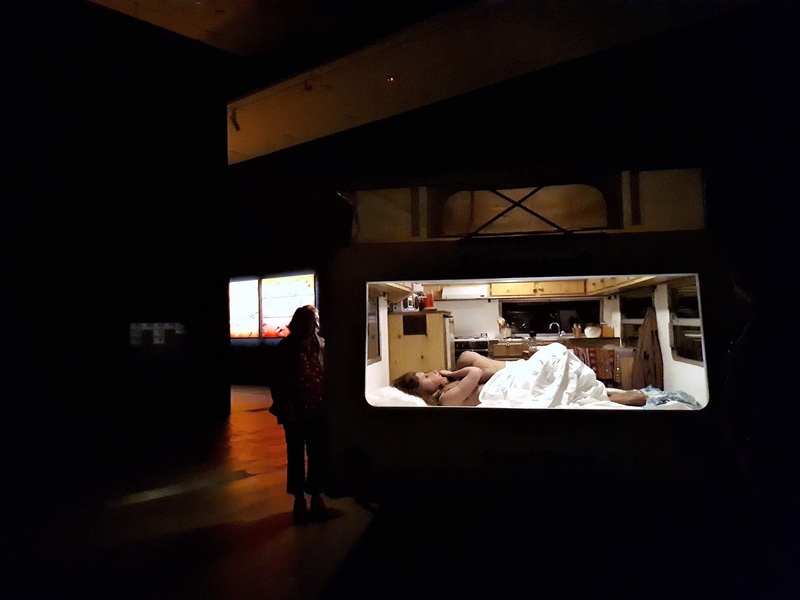 Curious Affection will be at GOMA until August 5. 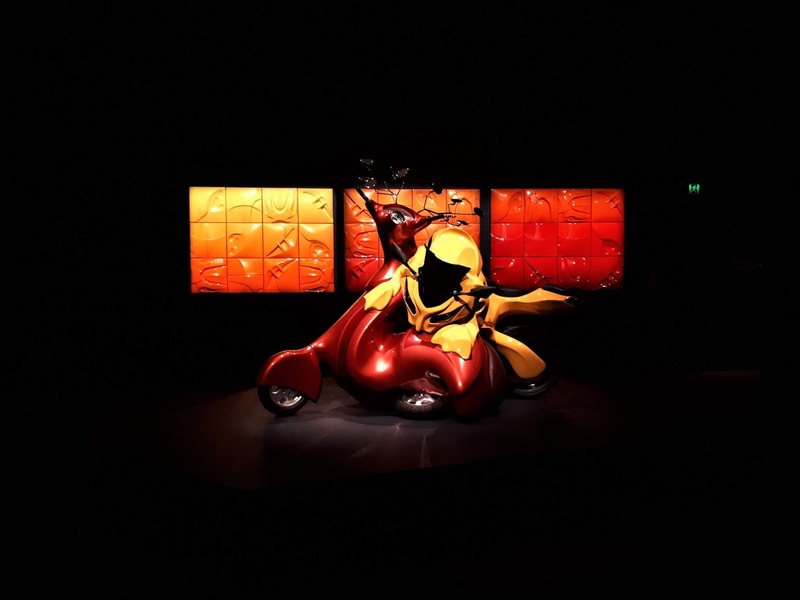 Opening hours and ticketing information is available on the QAGOMA website.